A forgotten perspective – Who is persecuted? Who is persecuted and whose human rights are being violated? The Western Shugden Society (WSS), a front group of the controversial New Kadampa Tradition (NKT), and some Shugden followers stress accusations against the Dalai Lama and the Tibetan Government in Exile, are performing “religious persecution” against them in a world wide media campaign. It seems to be forgotten however, that the actual persecution and injustice occurs in Tibet – occupied by the People’s Republic of China (PRC) – and not in India. Some information to balance the claims of WSS/NKT or Kundeling Lama and his followers. The Panchen Lama is traditionally one of the senior teachers for a young Dalai Lama and helps to identify an incarnation of a Dalai Lama. Only a Dalai Lama can certify a Panchen Lama. 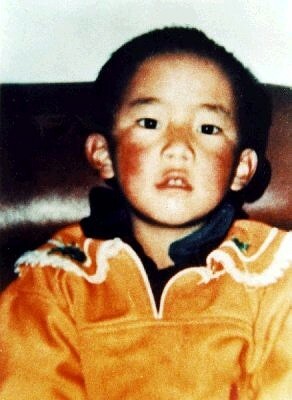 The present Dalai Lama, Tenzin Gyatso, recognized Gedhun Choekyi Nyima as the XIth Panchen Lama. Gedhun Choekyi Nyima was arrested by the Chinese government in 1995 and as of 2008 has not been seen in public. The Chinese government imposed their own candidate Qoigyijabu. It is obvious that the Chinese government will make every effort to support Shugden monasteries and Shugden lamas wherever they can and wherever someone accepts their financial support. If one reads this statement carefully, it does not reject that NKT is financially supported by the PRC, it only states that NKT “never had, and never will have, any political affiliations”. Of course such a statement doesn’t prove that NKT or their front group, Western Shudgen Society, is financially supported by the PRC either. However, the statement sounds fuzzy and invites more doubts. Behind this Shugden witch-hunt lies the fear of Chinese infiltration in the ranks of the Tibetan refugees. In the northern Indian city of Dharamsala, home of the Dalai Lama and the exiled Tibetan government, Shugden followers, with their open Chinese sympathies are considered a political threat. Photos of Shugden leaders are posted on city walls, branding them as traitors. Signs at the entrance of stores and hospitals forbid Shugden followers from entry. It’s apartheid, in Buddhist land. France 24 TV tries to balance their report but seem to have fallen under the influence of the exaggerated claims of some Shudgen followers. While it is certainly the case that injustice acts were performed by some Tibetans against Shugden followers, it is also the case that fanatical Shudgen followers forced the events. The claim of France TV Shugden worship is “a religion” and that 4 million Tibetans (from 6 million) would practice Shugden worship is incorrect and an exaggeration. It is far more an exaggeration to label the events in India “Apartheid in Buddhist land”. Amnesty International focuses on the places where real persecution and violation of human rights take place, e.g. in Tibet. Neither AI nor any other independent human right group confirmed the claims of the New Kadampa Tradition (NKT) or their front groups “Western Shugden Society” (WSS), 2008-? ?, and “Shugden Supporters Community” (SSC), 1996-1998, respectively. If the Western Shugden Society/NKT, Kundeling Lama and his followers are financially supported by the PRC or not has to be proven as well, however it is clear that their world wide media campaign and actions against the Dalai Lama under the guise of “religious freedom” clearly support the Chinese Government’s aim to significantly weaken the XIV Dalai Lama’s powerful influence. Also their verbal attacks against the Dalai Lama have the same aggressive sound as those of the Chinese government. e.g. the PRC named the Dalai Lama a ‘wolf in monk’s robes’, the Western Shugden Society named him a ‘saffron robed Muslim’ who is ‘evil and cruel’. Dorje Shugden is considered a powerful magical being who can help propitiators acquire worldly goods and other powers and benefits. The deity is also seen by some as a protector of the Gelugpa sect of Tibetan Buddhism. In addition, the deity is regarded as being able to inflict harm on those who stop propitiating it or on those who belong to other sects of Tibetan Buddhism. In 1976, the Dalai Lama stopped worshipping Shugden and began to teach that such worship could be harmful to individuals who offended the deity. He advised that Dorje Shugden was harmful to him and to the cause of Tibetan independence. He said that genuine deities think in terms of liberating people from suffering, not in terms of harming them. He saw it as his duty to bring the issue to the attention of Tibetan Buddhists, but to leave it to each individual to decide whether to follow his advice. In 1996, the Dalai Lama went further, banning Shugden worship for those who wished to be his immediate followers or to take teaching from him. At that point, well-organized Shugden supporters in the Tibetan diaspora mounted active opposition to the Dalai Lama’s position, going so far as to accuse him of denying religious freedom to Shugden supporters. The seemingly narrow issue of whether Dorje Shugden was a beneficial or harmful deity masked other issues within and among the four sects that comprise Tibetan Buddhism. It also became a deeply divisive issue within the Gelugpa school, which the Dalai Lama leads, between ultra-conservatives who continued to worship the deity and a larger grouping which followed the Dalai Lama’s approach. According to some accounts, Chinese government officials even promoted Shugden worship in Tibetan communities. Their goals, it appeared, were to dampen the Dalai Lama’s moral authority within the Tibetan and international communities and to use theological differences to exacerbate divisions within the Tibetan community. Southern Kham is where support for the deity in the region has traditionally been strongest. Tenzin Delek joined the campaign against Shugden worship as early as 1979 when he brought evidence of the practice at Lithang Gonchen monastery to the attention of the 10th Panchen Lama. When Tenzin Delek returned from India in 1987, he again resisted pressure to join in Shugden worship and again preached against the practice to the general public, to monks at Lithang Gonchen monastery, and to village elders. He even announced he would not set foot in Lithang Gonchen monastery until the practice there stopped. His doing so reportedly resulted in some monks leaving Lithang Gonchen, the major religious facility in the area, and taking up residence at Orthok monastery. Such defections, coupled with others attributable to the availability of new permanent facilities at Orthok monastery and Tenzin Delek’s presence there, might have been regarded as evidence of his rising prominence and have led to anxiety over competition for resources. The controversy continued to simmer and occasionally to flare. In 1999, several non-Shugden worshipping Lithang Gonchen monks were briefly detained. Two years later, not long before Tenzin Delek was arrested and after an influential lama at Lithang Gonchen monastery decided he would not longer propitiate the deity, Shugden worship there all but disappeared. Monks came from “everywhere” to participate in a ceremony marking the change. Chinese officials continue to call for Dorje Shugden worship. As noted at the outset of this report, they also claim that one or two of the bombings to which Tenzin Delek and Lobsang Dondrup allegedly confessed occurred in close proximity to a senior monk who had supported Shugden worship. Other highly respected Buddhist leaders in Kardze Tibetan Autonomous Prefecture have suffered because of their support for the Dalai Lama as a religious figure and because of the respect and loyalty they engender from within local monastic and lay communities. Although the stories differ in the details, a common theme runs throughout, starting with concern on the part of Chinese authorities that these popular and charismatic figures make it difficult for the government to eliminate the veneration of the Dalai Lama and to dampen enthusiasm for religion. Chinese leaders fear that belief in Tibetan Buddhism, entwined as it is with Tibetan identity, will continue to support popular yearning for an independent Tibet. Two cases of particular concern in Kardze are those of Sonam Phuntsog, serving out a five-year sentence for splittism, and the situation at Larung Gar, a monastic community formerly headed by Khenpo Jigme Phuntsog, which has been forced to drastically curtail its operations. 153 Isabel Hilton, “1. The Dalai Lama,” Independent, September 22, 1999; David Van Biema, “Monks vs. Monks,” Time Magazine, vol. 151, no. 18, May 11, 1998. 154 Human Rights Watch interviews with KR and ZB, September 5, 2003, and with HM, August 7, 2003. 155 Human Rights Watch interview with HM, August 7, 2003. 156 Human Rights Watch interview with KR, September 22, 2003. 157 Human Rights Watch interview with KR, December 14, 2002. Gangchen Lama visited the monastery again on 3 December 1999, and instructed the monks to worship shugden deity (Shugden is a spirit which the Dalai Lama discourages to propitiate). He claimed himself as the re-incarnation of Panchen Sang Tashi, the founder of Gangchen Monastery, and called the monks to respect and worship him. He distributed booklets to the monks that had detailed explanation about his re-incarnation. However, no monks accepted him at the time. Later, Gangchen Lama called 10 officials from the County Religious Department and PSB to instruct the monks to worship shugden and to respect him. A meeting was held in the monastery that very same day where the officials threatened the monks with arrest, detention and imprisonment if they oppose Gangchen Lama. Furthermore, refusal on the monk’s part would be deemed political and they would be investigated for crime against the nation. Since the beginning of 1999, Gangchen Lama had started building a new monastery of his own on the northen valley of Gangchen Monastery. The officials of County Religious Department and PSB forcefully evacuated the monks of Gangchen Monastery to the new monastery on 27 December 1999. Two new statues of the shugden deity placed in the prayer hall by Gangchen Monastery were met with protest by the monks. The statues were later taken by the monks who hid them in a nearby cave, which was used for meditation. There has been no history of shugden worship by the monks of Gangchen Monastery. Neither the WSS nor NKT are funded by the PRC. What would be the point in supporting a government? They can’t get you out of samsara! Amnesty international didn’t say that human rights abuses weren’t taking place, they were saying that they didn’t fall within their jurisdiction as an organization. There are most definitely human rights abuses happening now in relation to this issue. mhm, there are so many NKT ‘truths’ and anonymous NKT people operating under names like ‘truthsayer’, ‘truthbody’, ‘WisdomBuddha’, ‘lineageholder’, ‘Manjushri’s Sword’ – that a new ‘dorjeshugdentruth’ is something expectable, but by using such names neither wisdom nor truths are established. The point here is if NKT accepts money from the PRC or not. They didn’t say anything about this, they just denied ‘political affiliations’ they didn’t deny ‘financial support’. Financial support is a big issue in NKT, isn’t it? Much more as they lost many members and sponsors, didn’t they? The world wide media tour is very expensive, isn’t it? I do not claim they receive financial support, I brought up my doubt they could. Some people think like this. This doubt is not really refuted by the NKT truth site. But even if it would this doesn’t mean that this is “a truth” because the NKT truth sites lists many untruths or spins the facts. Regarding AI, they didn’t confirm the SSC/NKT claims, right? So there is no confirmation of these claims, right? How then can you claim again: “There are most definitely human rights abuses happening now in relation to this issue.” This is your unverified claim. Of course one has to read AI’s statement also in between the lines as Mills does it. What AI says neither asserts nor denies the validity of the allegations against the CTA (Central Tibetan Administration), nor finds either side culpable. I find this such a distasteful article. Maybe a better title would be “A distorted perspective”? Your writing is designed only to minimise concern about the suffering of one group of human beings (Shugden buddhists) by emphasising that of another group of human beings (non-Shugden buddhists). Why did you not mention the battles between Sunnis and Shias in Iraq as well? One side there suffers in greater numbers than the others but this does not take away from the suffering of the smaller group. Your article lacks any real compassion and shows a calculating and controlling attitude. Just like an abusing father will threaten his wife with worse punishment if she does not ignore the beatings she has received in the past so you are saying that the sufferings of Shugden people can be ignored due to the fear of a greater threat. I would like to suggest an explanation for your “perspective”. The words: “I think rumours” spoken by the Dalai Lama constitute one of the most famous publicly recorded denials by a world-renowned figure of his stature of someone’s direct perception of Human Rights abuses. This can be seen in the Swiss TV documentary when the reporter interviewing the Dalai Lama says: “But I have seen these things with my own eyes”. And then, in a display of arrogance, breathtaking in its audacity to my mind, the Dalai Lama confidently shakes his head and says straight to the face of the reporter and on-camera: “I think rumours”. Following his lead many of the Dalai Lama’s followers like yourself have adopted the same insular and arrogant attitude when debating with those subject to the Dalai Lama’s illegal ban on the practice of the Wisdom Buddha Dorje Shugden. For example, when someone reported recently on Tenzin Peljor’s blog, as a Western Shugden Society demonstrator something like: “My motivation for demonstrating is compassion and my pure intention is to protect Je Tsongkhapa’s tradition and I feel joyful when shouting ‘Dalai Lama stop lying’”, you and other Dalai Lama supporters immediately ignored and denied this person’s inner experience and instead told them that they were angry! How incredibly arrogant of you; how haughty, puffed-up and condescending to assume that you know the inner emotions of others. Such is the patronising behaviour of those from closed self-referential, and non-self critical systems – especially those of combined religion and politics. The Dalai Lama is used to getting away with this behaviour in the tiny world of the Tibetan exile community in India. The Dalai Lama’s western followers like yourself now delude themselves into thinking you can do it with the Western Shugden Society people treating them as an aristocrat might treat his slaves. Hence your article today designed to marginalise the suffering of Shugden people at the hands of the Dalai Lama. It must be a source of continuous worry to you that you actually cannot get away with this and that, gradually, gradually, your distorted perspective is becoming more and more obvious to ever greater numbers of people around the world. I confirm this comment as a proxy for other Shugden followers who may share your view. In general, I feel the exaggerated claims of WSS/some Shugden followers as very selfish, narrow minded, hostile and misleading. The post aims to balance their claims and views by adding another perspective they seem to ignore. Personally I feel some Shugden followers, especially NKTees, have lost reality ground due to a hostility and fanaticism that is very impressing to me. You can disagree with my opinion, I disagree with yours. As I know both sides, I feel able to add something to the discussion, as you did. However, because I say in my About:“This site aims to correct and balance the misinformation campaign of the Western Shugden Society.” I will not publish more of misleading and exaggerated WSS claims, including their comments. WSS has already enough propaganda websites. You kindly attack me of holding a distorted view. I see this as an expression of your opinion – which I do not share but accept. Thanks for the censorship, Tenzin. It’s hardly fair and honest debate to choose which points you address, is it? I think you should either address all the points of none of them, but that’s your choice. Will you even post this reply? while my blog links to WSS/NKT websites, e.g. the post above lists the wss website first; and my blog links also websites which write wrong things about me and others (e.g. the NKTtruth site), my blog may be more fair than those of NKT/WSS and Shugden followers. Their websites link only to websites which support their views, don’t they? It’s a self-referential system, isn’t it? It is my freedom to delete WSS propaganda here, and my About states the purpose of this blog. Please print this if, as you say, you’re genuinely interested in establishing the truth, rather than in spreading misinformation. NKT-IKBU, as you know, is a UK registered charity, governed by English law. To maintain its charitable status as granted by the UK Charities Commission, its accounts must be publicly available; as NKT-IKBU has an annual turnover in excess of a certain limit, these accounts must be independently audited. It is therefore a very simple matter for you, or for anyone else who is interested, to go to the UK Charities Commission website and download or view NKT-IKBU accounts. If you take the time to do so, you will find that they are truthfully reporting that they receive NO funding whatsoever from PRC/CCP. I hope this helps to establish the truth. Dear Jigme, thank you very much. I am always interested in facts. Recently NKT started to claim WSS and NKT are funded differently. If this is true, how then one can check if PRC supports WSS, a front group of NKT? WSS holds no legal office and the official website is made anonymous via proxy server. I guess the UK Charities Commission can not say much about the sponsors and income of WSS. Do you know more about this? Thanks for your clarification so far. Thanks so much for posting this valuable article. The fact is, in the typical nature of fundamentalists (or traditionalists as they prefer to be called), the WSS people cannot look past their own belly button. Completely uninterested in the “external suffering” of others, most NKT members gave donations to their centres, never did anything for Tibet, the centres never raised money for social causes (compare this to FPMT, with Monglian soup kitchens, Eye clinics, animal refuges, Leprosy Centres etc. or the Chinese Mahayana organization Tzu Ch’i, with earthquake and tsunami relief etc.). This is why most people are suspicious that so many NKT are suddenly interested in what is going on outside their organization. It seems that it is political, and certainly we know that the NKT centres would not be arranging transportation, food, lodging etc. for the protests without support from GKG and the higher echelons of administration. The problem is, NKT disciples are not educated in Tibetan history and only told a very tiny portion of the Shugden dispute. No one would tell them how Shugden is used as a political tool in the PRC, how China funds Shugden monasteries and lamas in Tibet, and how Shugden teachers like Kundeling and Gangchen Tulku have close and demonstrable ties with the PRC government. Moroever, no NKT person has stepped up to say the persecution of the Dalai Lama’s followers in Tibet, who refused PRC pressure to worship Shugden, deserve sympathy. There is no appreciation of the wider picture, no sympathy for opponents, no knowledge of history. That is why so many people feel NKT followers don’t know about the political implications of their involvement in the WSS (whether as part of an ad-hoc group or not). Finally, WSS in a very tasteless move used footage from the recent uprising in Tibet (the violence of which HHDL condemned and threatened to step down over), in their videos to depict Dalai Lama followers as wild out of control savages. Nevermind most of the protests were peaceful, and the footage was from a PRC controlled television station. Nevermind in 50 years of occupation so few events like this have transpired. The use of that footage was tasteless, insensitive and played right into the hands on China. It should be taken down. I think, WSS and some fanatic Shugden followers loose sympathy just due to their hostile attacks and misleading propaganda, e.g. this viedeo http://www.youtube.com/watch?v=Bsmbfa6VLSo&feature=related just spins the facts – as so many of what they have published. They have freedom of speech, they can denounce the Dalai Lama in the public, they can label him a liar, dictator, evil and cruel and so on but WSS and some Shugden followers allow no other opinions and links than their own and get upset if someone puts their perspective into perspective or disagrees or criticizes them. My impression is: very sensitive people to themselves but insensible for others. When I talked to one of them he said I should stop all my activities because I would lie, harm others, NKT/GKG etc., I explained to him that I do not lie and that I do what they do: They see a need to address their concerns, I see a need to address my concerns. I said if you accept your right, you have to acknowledge also my right to do the same. The person was not able to understand this thought. Why? Because he is/they are so very “right”, that all others must be “wrong”, that’s why I should stop my activities, while they should have the right to continue with their activities. This is an interesting perspective. Please don’t complain about the comments Tenzin does or does not post until NKT Truth and WSS sites and youtube are open for free commentary. At the moment all they post is comments from their supporters who support their views. Tenzin, on the other hand, regularily allows different POVs to be posted and engages in debate with his critics. Until WSS changes its policy of posting only positive responses it is completely ridiculous to critique Tenzin’s moderating. “These Shugden warriors have sadly become to be the naïve puppets of a much wider power play by the very masters of Deception and Propaganda-Lies, and occupiers of the Tibetan homeland; the CCP. These unwitting propaganda soldiers are carrying out one of the most despicable and depraved smear campaigns against the Tibetans, the CTA, and particularly the Dalai Lama in order to eliminate their legitimacy to represent the Tibetans and their just cause. Tenzin and Khedrup are hopelessly mixed up about the WSS campaign. It is a “single-issue” campaign to reverse the damage to faith inflicted by the illegal ban. It has no other aims or interests. I am sure that many many WSS people share the feelings of revulsion at all forms of repression worldwide, whether political, religious etc etc. Sop there is no need to go into all this. WSS are single-pointed. Shugden people, in this instance, will not be deflected into wider discussions about these wider things and issues. End of story. How about Tenzin and Khedrup just stopping making everything so complicated – trying to widen the WSS campaign? It’s not going to change. I am not planning to do too many more postings as I think I’ve said my bit, but my advice for using this blog is to try to think a bit differently, and to try to offer something a bit different from the material available on the other sites. “There are so many things that we can think about with respect to an object that won’t cause us to become angry” was some precious advice that I received from a teacher who sadly can’t really be named. The advice itself still holds though – there really are so many different things that we can think about things that don’t cause us to become angry. We can experiment with different ways of viewing things. It’s also sometimes nice to try to find some common ground – for example Tenzin and I are in agreement in our appreciation of the work of the psychiatrist and historian Robert Jay Lifton, even though we differ in the way we would choose to apply his insights to this situation. Furthermore, Tenzin and Khedrup definitely have something to offer in terms of providing factual information, even if we consider their points of view and conclusions to be in error. Also, some of these reinforce our case, at least in my opinion. For example, the claimed existence of prejudice against monks loyal to the Dalai Lama on the part of Shugden monks, only strengthens the case for the need for an end to the divisive rhetoric that has precipitated the whole conflict. We both know the WSS campaign is not going to change. But we also seek to provide an alternative point of view and historical facts of which most WSS supporters are not aware (such as the fact that Phabongkha promised the 13th Dalai Lama to abandon Shugden practice, that Shugden was only “upgraded” to a Buddha in recent history, that the PRC is using Shugden to further their political ends etc.). As this is Tenzin’s website I am not sure of his particular motivation, but I think it is to give those who hold a different view (which are many, many people) a voice in this issue. If WSS doesn’t care what Tenzin has to say, and neither my or his or any other person’s comments questioning their actions will ever be taken into consideration – I wonder why you bother posting here. If you’re not interested in a different point of view, why do so many WSS supporters, NKT students, and Shugden supporters post here? Surely this blog, in the sea of WSS websites, isn’t worth worrying about? This goes to the heart of the issue. WSS, its supporters in NKT and elsewhere, have never been able to look past themselves to the problems in the wider world. For example, the NKT, major source of manpower for the protests, has never engaged in any charitable projects apart from propagating its own teachings. this is in marked contrast to FPMT, with dozens of projects as I mentioned above, Tzu Chi – specializing in tsumani relief and education, and Thailand’s sangha that have loads of AIDS hospices and drug detox projects. By pointing out the inward looking nature of those involved with the WSS, we point to a larger culture of self-concern, lack of broad application of compassion and involvement in the wider world. The type of mindset HH Dalai Lama has said that Shugden practice was involved with. If engaging in these discussions is a distraction for WSS members, they are free not to post here. Those of us that do are interested in a two-way discussion. There are countless organisations helping people with their temporary suffering – you quote FPMT. There are very few people helping others with the suffering of their future lives – which is FAR MORE SERIOUS (not shouting but emphasising). So you choose to criticise people like WSS who wish to concentrate on the long-term endemic problems (ie the delusions in people’s minds – the source of suffering)…how strange! Buddha is a doctor, his prescription is practising the Dharma – how can you criticise an organisation that wishes to focus on spreading the Dharma – the ONLY medicine for ALL suffering? How bizarre and worldly of you to find fault with this. Shugden people wish to liberate everybody from all forms of suffering. They understand ONLY the DHARMA can do this. Of course it is wonderful that people help with the temporary sufferings of this life but the REAL WAY to help people is to give them Dharma. You asked for clarification of the financial relationship between WSS and NKT. If you check NKT-IKBU accounts, you will be able to see not only income, but also expenditure. If WSS is no more than a front group of NKT, then you would expect to see outgoings from NKT to WSS, or to fund WSS activities. In fact, no such outgoings are recorded. b) NKT-IKBU makes no payments to WSS, or to individuals who then use those funds for WSS activity. This is all easily verifiable by checking NKT-IKBU accounts. Whilst it’s conceivable that PRC/CCP could somehow launder money through individuals in order to fund WSS activity, I believe that I would have become aware of this myself whilst engaged in WSS activities. As it is, I have never seen, or heard of, such funding. For one thing, I think we’d have better food, travel and accommodation if we were really in receipt of Chinese government money! For what it’s worth, from my own direct experience, WSS has always been funded from donations by individuals, which have been collected through word-of-mouth, through the internet, and through appeals made during the demonstrations themselves. When I’ve been attending NKT events and Centres, I have never heard of or seen any such WSS appeal being made. Lastly, whilst of course lots of WSS members are from the NKT, it’s not exclusively NKT. I’ve met many Tibetans and Westerners in WSS from other traditions; these people also, where they can, have contributed funds to WSS activities. I can’t help but agree with other posters: I feel that these attempts to smear WSS as being agents or pawns of the CCP, or to deflect attention from the real issue onto NKT, is a pretty transparent tactic. I believe that an examination of the evidence – in this case NKT-IKBU accounts – will help us all establish the facts of the matter. Then, we can remain focussed on the main issue concerning WSS, which is exposing the lies and the illegal ban of the Dalai Lama, in order to protect Je Tsongkhapa’s lineage from destruction. As mentioned above, we’re a one-issue coalition! I lack time to read all the comments but will do it in the next days. Thank you so far for clarification and your work. If it is inappropriate to call the WSS a front group of NKT I will change the posts, as if I will do, when I recognize that one quote is cited improperly. There will be some improvements or corrections, including the English. Regarding front groups, the WP article states: “Front organizations that appear to be independent voluntary associations or charitable organizations are called front groups. ” This portray applies to WSS, doesn’t it? This attitude is notable in Shugden followers. It is the same attitude that led to many problems in Tibetan society not being addressed. The same attitude that saw it as pointless to engage with the outside world, the same attitude that questioned the 13th Dalai Lama’s reforms to Tibetan society. It is notable that it was this conservative gelug establishment that gradually did away with the 13th’s reforms and left the 14th Dalai lama with nothing to work with in order to prevent the Chinese invasion. Due to this insular nature, due to this inability to engage with the outside world, when the PLA entered Tibet there was nowhere for the Tibetans to turn. Even Buddha himself saw the importance of addressing poverty, giving charity to the poor and beggars, as a practice of dharma, of generosity. When people’s bellies are empty, how can they practice Dharma? Is it simply that we should just worry middle class people and their designer problems, give them cosy dharma holidays, and write the poor people off as having a lack of merit? The Theravada monks, denigrated in some literature as being selfish, are more socially involved than the NKT for example. With AIDS clinics and drug rehab centres, and with a much smaller budget and living in third world countries. When others are suffering, this outlook just doesn’t make sense. That’s why engaged Buddhism is making such a huge impact with progressive Buddhist groups. This argument is a classic fundamentalist one “All You Need Is Jesus” “Allah will take care of the Poor” “The Untouchable Castes Were Born that Way Due to their Karma” “In Buddhism we need to worry about our delusions, not Poverty”. These arguments don’t hold up. And an increasing direction towards Buddhist Engagement in Social Issues is a wonderful trend. Please note in above post, I am not saying in any way Shugden followers were solely responsible for the situation in Tibet. Of course, as with other such historical events, there was a large variety of karmic causes and conditions that come together. Hopefully, though, the above post illustrates how insular fundamentalism/traditionalism without an appreciation for engagement on social and societal issues, leads to serious problems when faced with crisis later on. thank you for your clarification of this. I think it’s about time that this tired lie/suggestion/insinuation of Chinese funding was put to rest. However, it is clear that in the monasteries in occupied Tibet, the Chinese government is funding and promoting Shugden worship. Many links have been posted verifying this. Whether the WSS admits to it or not, their protests are a dream for the Chinese new authorities, who have covered them on official media channels. Also, WSS used PRC state television footage of the Lhasa unrest to prove that HHDL’s followers were savage uncontrollable hordes, despite the fact there has been remarkeably little violence in 50 years of occupation. Despite the fact HHDL said he would STEP DOWN if there was any more violence. Despite the fact the PRC state television obviously wouldn’t cover the PLA activities that led to the unrest in the first place. The actions of the WSS can and must be examined from all angles, including this one. I don’t necessarily think it is on purpose, but I think it is a lack of foresight on behalf of those who have organized the protests. Also, the WSS should carefully investigate the ample evidence indicating ties between Kundeling Losang Yeshe and Gangchen lama (high profile Shugden teachers) and PRC authorities. The WSS must investigate the complete spectrum of the effects of its actions, and release statements to explain them accordingly. If they don’t support the PRC occupation of Tibet, for example, don’t use their skewed propaganda footage in your WSS response to the ASA statement. The ASA statement was completely political in its motivation. Like many o your own statements. What have you to say about the brilliant analysis we saw recently showing that the Dalai Lama’s “stick referendum” broke almost every one of the 10 points laid down by Buddha in the Vinaya? Nothing I’ll bet. Just as the tongue can taste the sauce. If NKT goes for Refuge to the Three Jewels – as they claim – they should really do it by action not by mere words. The Sangha disagrees with them and their actions. Kindly Sangha members issued a statement and reminded the NKT members to excuse themselves for their inappropriate conduct. The complete Pratimoksha and the complete order are absent in NKT. NKT members do not take refuge in the Buddha, Dharma and Sangha. They take refuge in Geshe Kelsang – a monk expelled from the monastic order, they take refuge only his books and only in his NKT centers and only his NKT teachers. This is Cultish not Buddhist conduct. Instead of correcting themselves WSS/NKT slander not only HHDL, a well respected member of the Sangha, but now also the Australian Sangha Association. Such conduct is neither suggested by the Buddha nor by the Dharma, it is not the conduct of the Sangha and especially not of those who claim to be Buddhist monks and nuns. If Buddhists, and especially monks and elder members of the ordained Sangha, are concerned about the public misbehaviour of Rabjungs as performed by the noisy and angry NKT monks and nuns – (who are no members of the Sangha order but wear monastic robes – without knowing how to wear the robe properly) – issue an statement to prevent damage from the Buddhist order and to clarify the state of ordination of those pretending to be real Buddhist monks and nuns, then this is ‘political motivated’, and not based on the Vinaya? It is the business of the fully ordained to issue and decide questions which are related to the order. There is nothing political in this. Did you study the Vinaya? Are you a member of the order to know it better? If not, I wonder how you think you can properly talk about what you don’t know. Please take refuge in the Buddha, Dharma and Sangha, as Buddhists do. May you come under the protection of the Three Jewels and rejoice their help. How without NKT organization of buses, accommodation and recruiting at NKT centres for protesters (we have carol’s account at how this happened in Brighton), how many people would show up at the demos? The money is raised in NKT centres perhaps for a specific purpose, and not mixed with NKT dharma centre funds, but that doesn’t mean it isn’t a “FRONT” group, just because it is legal from a tax point of view. All it means is that it is following charity law. Would WSS hold a protest without allowing any involvement from NKT members. What would happen? With regard the demonstrations, I myself and my students have not done anything wrong. We have no political aim and we are not involved in any political issue but are simply trying to prevent the pure lineage of Je Tsongkhapa’s doctrine from being destroyed by the Dalai Lama and we are trying to prevent future problems and dangers for Shugden practitioners throughout the world. Previously I wrote two letters to the Resident Teachers and Admin Directors of NKT Dharma Centre’s (which are pasted below) in which I clearly explained that the NKT was not organising the demonstrations, the NKT was not involved in political activity and there was no basis for either the NKT or Dharma Centre constitutions to be broken. The head leaders of the protests were country representatives of NKT: Dekyong (USA), Ananda (Germany), Rabten (Australia) not to forget: Khyenrab (successor of GKG) who lead the first protests at Colgate. How can you explain in a reasonable manner that WSS is no front group of NKT? If you read the article on this website about the stick referendum, it is clear that it has many precedents in Buddhist history. It is also clear that the Shugden monks were free to set up their own community if they didn’t follow rule of majority (all monks and nuns must follow rule of majority, it is a principle upon which Buddhist monastic communities are built). Indeed, the Shugden monks have set up their own community – WITHIN Sera and Ganden monasteries. This is a new development, and demonstrates tolerance from the POV of the 90% of monks who supported HHDL’s restrictions. They were not kicked out onto the street as WSS would have us believe. They kept many buildings, their own school, kitchens but are responsible for finding their own sponsors for food and medicine (as ALL houses are, Shugden or non-Shugden. Only at the occasional lunch puja do Sera Mey, Ganden, Drepung Monasteries offer food to the whole assembly. Only Sera Jey monks get dratsang sponsored food daily, thanks to NKT nemisis FPMT). Glad to see you are still interested in dialogue Gyalchen, I wasn’t sure due to your previous post! I’ve pasted below more clarification, from the newkadampatruth blog. I feel that this explanation is eminently reasonable, as is my explanation above of the (non-existent) financial relationship between NKT and WSS. If you are not satisfied with this, then I have nothing more to offer and must conclude that you are not open to reason. I’ll post no more on this point now. My hope is that everyone can read these points dispassionately, and thereby see the truth of the matter, that WSS is NOT NKT, despite the natural tendency of NKT practitioners and teachers to be also, separately, members of WSS. The WSS is independently funded and has no financial ties to the NKT at all. Many private individuals have been incredibly generous – including many Tibetans who for various reasons cannot attend the demonstrations in person but support them through their money and prayers. The WSS receives funds through its website into its own bank account. I’ll read it in the next days. May be some one else can comment it. I feel your argument in this context as being a bit unfair and dishonest. You expect from me to do what your friends deny while implying I would be “not open to reason” if I do not follow your wishes? Please don’t take it personally when I say it frankly: I am not interested in reading more of this propaganda and spins. – Because NKT says that “WSS is not NKT” this is no valid proof that WSS is not a front group of NKT. It’s a mere claim and there are more facts supporting the few that WSS is a front group of NKT than not (see my unlock site). – Then, since what NKT members suffer on “the ban” by the Dalai Lama? They are according to themselves “completely independent”. – Also there are only very few Tibetan and non NKT members present at the protests. Other arguments have been stated already and I do not see how your comment refutes them. – Moreover NKT has never shown a honest attitude and also deceived the public in the last media campaign about that the SSC is a front group of NKT. (see Independent and Guardian). – They claimed at that time they are supported by Tibetan lamas, like Gangchen Lama or HE Daygab Rinpoche but these claims were completely untrue. Even after complaints by HE Dagyab Rinpoche to GKG personally GKG didn’t remove him from the list of supporters. Using my common sense and understanding of NKT and their “flexible ways with truth” I do not believe what NKT truth blogs claim, these are mere claims, intended to hide who is behind the protests. It is clear that if the NKT did not organize these protests, with the letters posted above from Geshe Kelsang as a catalyst, the demonstrations wouldn’t have happened. I think this is why people are seeing it as a “front group”. There may be, on the periphery, other individuals involved, but they are tiny in number compared to the protestors who come from NKT centres. Former NKT members have noted this. Finally, there is no plausible argument that Je Tsongkhapa’s tradition needs Shugden to survive, as in none of Tsongkhapa’s works is Shugden mentioned. In fact, I think what makes Tsongkhapa’s tradition survive are the 3 Monastic Universities of Sera, Ganden and Drepung, where monks can finish completely the study of all the classical works Tsongkhapa recommended, and the tantric colleges where the 3 yidams Tsongkhapa wrote extensively about: Yamantaka, Chakrasamvara and Guhyasamaja, can be practiced and the rituals learned. Who help greatly to ensure the survival of these insitutions by making the decision to go into exile after the PLA invaded? On whose reputation to the Lamas and Geshes of these monasteries depend to procure support for the material and spiritual requisites of the monks? HH the 14th Dalai Lama, Tenzin Gyatso. We differ in our views. I believe that if Je Tsongkhapa were now in Tenzin Gyatso’s position, he would trade all the great learning of the Three Seats and all the ritual of the Tantric colleges for just one pure practitioner of the Lamrim meditations alone that are explained in the Lama Chopa, let alone the Lojong and the Tantric Mahamudra that are also explained within it. This is the lineage Dorje Shugden arose to protect, the holy Ganden Oral Tradition, first given centuries before to our Lord Tsongkhapa by Manjushri himself. You do not believe this, and neither does your Teacher, apparently. That’s ok. Neither I nor my Teacher feels the need to persecute you for your differing opinion, or to try to destroy your way of practising. Why can you and your Teacher not do the same? I will not give you scriptural reference and history to back up my argument – why should I? Who do you think you are – who does Tenzin Gyatso think he is – to say you are right and I am wrong? That you are both right and that Trijang Dorjechang was wrong? How dare you? If you have not received this lineage, and do not wish to practise it – fine. I appreciate your faith in and sincere practice of your own lineage, and I sincerely wish you well with it. But don’t you dare try to destroy my lineage. For the sake of your own karma, don’t be a part of Tenzin Gyatso’s enormous crime: the catastrophic schism of the Sangha. I hope you include this comment. Thanks. Of course some few Tibetans support WSS, I’ve never denied this. But this is no proof that WSS is no front group of NKT. Best wishes. Several days ago I posted an answer to Khedrup’s questions, above. Whilst I understand that this is your blog, and respect your right to post whatever you see fit, would it not be a courtesy to Khedrup, as well as to myself and to other readers, to post my response in the spirit of seeking the truth? After all, if the points that I make are wrong, then by posting them you’ll show everyone the fallacies in my arguments. On this same hand of your post (how dare…? ), How Dare the upholders of the Ganden Oral tradition slander the holy doctrines of Guru Rinpochey, Marpa and Milarepa, and Sakya Pandita? “Kyabje Phabongkha Rinpoche was really an incredibly great master. As I always say, he is virtually the supreme holder of the Stages of the Path (Lam rim) and Mind Training (Lo jong) traditions. But with regard to Dholgyal he seems to have made mistakes. Rinpoche himself was a highly realized being. He was capable of enthralling anything – human or non-human – at will and so call on their assistance. That is quite possible, but it is a different matter (from seeking ordinary assistance). Trijang Rinpoche was also an exception. However, it is a great and dangerous mistake for those following them simply to imitate what these lamas did. If it were appropriate to see everything the Lama does as correct, then there would have been no need for the Buddha to explain the qualifications of a Lama in such great detail. Now, you may not agree with my or HHDL’s position on this. But I don’t believe in the form of Guru Reliance as propagated by Phabongkhapa or your teachers. I believe that we need to maintain a discerning mind in all cases. My way of guru reliance is more along the lines of how Alexander Berzin writes about it on his website. It differs from your interpretation. I don’t think that everything every lama has done, EVER, has to be absolutely faultless and unquestioned for the practices within a lineage to be valid. I realize my thinking is modern, some of my Tibetan friends have also questioned it. Others have lauded it. One of my closest teachers, whom I’ve had a close personal relationship with for many years said “Khedrup, at first your questioning nature and non-sectarian (even across Yanas) approach unsettled me. But because I am surrounded by those who say only what they think will please me, with no one willing to be honest, I am grateful for a student who thinks that everything should be analyzed”. This is why we can dare to say we think previous lamas are wrong. These teachings are found in the Kalama Sutta, which is well worth a read, I think, to develop a balanced view towards Guru devotion. While I don’t agree with your statements and I think that actually this schism started before the 14th Dalai Lama – if you look at previous letters and statements (please get my email from Tenzin if you want to discuss this. it is rather exhaustive and not so relevant to post all of it on here). In fact, HHDL is trying to make sure that, as you say, the entire Ganden tradition of the Philosophy and Tantras of the 3 Seats doesn’t get traded in for the streamlined whispered lineage. While the 13th was still alive, overzealous students of Lama Phabongkhapa tried to get rid of the scriptural study in favour of propagating the tight lineage of practice – putting the Nalanda tradition of study preserved by Tsongkhapa at risk. I confirmed this with a Dre-Gomang lama I spoke with this past Spring. Finally, I don’t wish to destroy your tradition, and when NKT people who have doubts write to me (as many have) I always tell them to investigate both sides rather than counting on my view or opinions. However, I do feel (and remember I lived there for 2 years) Shugden practice was a very real threat to the Nalanda tradition and the unity of the 3 great seats. But I do think that an agreement should be reached to allow those who have a deep wish to practice Shugden to do so within their own insitutions, (for example, I think it would be good if the 3 Seats signed over the ownership of the buildings of the Shugden monks over to the Shugden party, and so allowed them to freely follow their doctrines as a seperate community within the larger community). Also, the misguided laypeople who don’t allow them to shop should be directed to allow them to purchase whatever goods they need. I feel things are moving in the direction of such an agreement. However, having seen the agitation of some members of the Shugden Party, as well as the aggressive propagation of Shugden (I outlined this in many previous posts), I to try to force the two communities to exist as one monastery wouldn’t be practical, and goes against the good of the many over the good of the few which is the crux of monastic harmony. My view is far more nuanced than you seem to appreciate and comes from my own investigation of Tibetan history and culture that I pursued here and abroad. While you might not agree with my views, threats about my karma I don’t think are relevant. This is because my pure intention is to give people a full view of events from the perspective of the other side, prevent inaccurate statements made about history, the slandering of HHDL- which results in Buddhism’s image being tarnished worldwide, which affects all of us. While you might not agree with my view and purpose, it comes from deep within my heart. As I am devoted to my teachers in the Gelug, Kagyu and Theravada traditions, so are you devoted to your teacher. As I want to defend my right to a broad and non-sectarian practice, so you want to defend your right to single-school purity. We have different outlooks. I see this schism as the result of a bunch of causes and conditions coming together that can be traced to a host of historic and current spiritual and political figures. You see it as all the doings of one leader. I don’t think your viewpoint is accurate, and wish to use this website to allow my opinions to be heard. If you want to get my email from Tenzin he can give it as I am happy to exchange some additional translations and historical viewpoints with you. However, such a broad discussion I don’t think would be of interest to most who come to the site, so one on one dialogue might be better. However, if the summation of my view is enough for you to think out ideas are too polarized for useful discussion, that’s okay to. I hope you can see that my willingness to discuss these issues indicates I am at least willing to hear the other side of the story. As does Ven. Tenzin’s inclusions of your posts on the blog. If we don’t talk to eachother, how can we ever simmer down this potboiler of a controversy? Thank you very much for your considered response. I agree fully that the best way forward for everyone would be to agree to differ, and to encourage a broad, non-sectarian respect, both in the ordained Sangha and amongst the lay people, for the rights of each party to practise as they see fit. I see no good reason why we can’t live happily side by side (albeit in different monasteries!). I respect your faith in HHDL, your sincerity in your practice. and your commitment to harmony. Unfortunately, I can’t believe, having heard and read his own numerous statements on the issue, that HHDL shares your non-sectarian approach, at least towards Shugden practitioners. I fear he will not stop until, as he has said, not even the name Shugden is heard. May we practise our paths in mutual respect. I wish you swift and unobstructed passage to great enlightenment. Thank you for posting my comments. I appreciate your willingness to post my views, that differ so much from yours – that is worthy of respect, so thank you. Because of the history of Shugden, and having seen the agitation of Shugden monks first hand, I can understand why non-sectarian practitioners wouldn’t want this practice to continue – because it is seen by many as a banner of fundamentalism. However, the practice is, for a time at least, here to stay. And even though I see the practice as harmful, I believe those that have a deep wish to follow it should be able to do so. So we must work out a way to live together and stop maligning eachother, which is so damaging to Buddhism. To have seperate and independent institutions seems a good solution. Indeed, at Sera Mey for example, this is already the case, and I have heard since this was implemented the agitations from both sides have decreased dramatically. It’s funny you mention HHDL’s strong words here because I think that they are milder in many respects than the words of Geshe Kelsang (calling the Dalai Lama “evil”-AFAIK HHDL has never called Geshe Kelsang evil, and definitely has praised many of the accomplishments of Phabongkhapa and Trijang Rinpoche). In fact WSS tries to frame it as HHDL maligning an entire tradition and group of lamas, but it is only one (and rather small) aspect of their practice of which he is critical. Also, if we are going to fault people on strong statements, how are we to view the comments in the WSS literature (Saffron Robed Muslim), offensive not only to HH Dalai Lama but also millions of conservative Muslims around the world? How are we to view the comparisons to the holocaust (which I think even you must view as a gross exaggeration), offensive to so many Jews who witnessed their family being put into incinerators? In short, if we are to take the words of every person involved in this dispute at face value, how can we ever reach an agreement? It’s funny because from my side the WSS protests were completely unnecessary, as the TGIE and Shugden lawyers are going to have to sit down and hammer together an agreement anyways in the Delhi court. I’m sorry to say that I see the protests as a way for people with bad feelings towards HH Dalai Lama to harm his image. I see this on the WSS website as well, now posting not just Shugden issue related articles, but articles that say anything negative about HH Dalai Lama. I don’t think either side in this dispute is going to win any awards for right speech. Stop the controversy we all love His Holiness, more even so after march problems. Clearly the chinese and nyingmapa benefit. Loosers are all christians and all buddhists particularly western buddhist, who cannot properly research, never trust, believe anyone they all may have secret agendas. Of course tibetan government in exile has to keep group together of course divided tibetans are better for confused chinese and confused buddhists. Read his holiness books on friendliness. Peace and respect for all traditions. Om mani padme hum. Ave maria. ? Can you imagine all of us having tea with nobel peace prize? we will go into history as those fighting buddhists…. Tulku does not mean love. This article is very biased and paints Shugden as a spirit worship . Dorje Shugden is a Dharmapala, an emanation of Wisdom Buddha Manjushri, and functions to protect the Dharma for the benefit of all sentient beings. It is true that NKT focuses purely on this function and is not receiving money or support from China. From what is very clear, protests have been made to ask His Holiness the Dalai Lama to please stop the demonization of Dorje Shugden and Shugden practitioners. It should be noted that the the most famous Dorje Shugden practitioners were the Dalai Lama’s main and holy teachers. It is a serious downfall to create a schism in the Sangha, and this ban on Dorje Shugden practitioners is very serious , and an equivalent example would be if His Holiness The Pope in the Vatican were to suddenly ban any worship of the Virgin Mary, the mother figure for us all, and stating she is an evil spirit. How terrible. So can anyone blame the NKT who protest a similar ban on the worship of the glorious Dharma protector Dorje Shugden, who loves and protects all beings, like a mother for her child. Please holy guru Dalai Lama, I beseech you on this holy day of Shakyamuni Birthday, Vaishakya, and Saka Dawa, June 2, 2015 to please unite the Sangha, re accept Dorje Shugden into the pantheon of holy and powerful protectors of Buddha’s holy doctrine so that all sentient beings may attain freedom from suffering and reach holy enlightenment. With Love , DC. Your judgement that the article is biased could be based on your own bias. The claim that Shugden is “an emanation of Wisdom Buddha Manjushri, and functions to protect the Dharma for the benefit of all sentient beings” is controversial itself. Most of the Nyingma, Sakya and Kagyue masters, and also many of the Gelug masters don’t see it that way. He was clearly classified as a mundane unenlightened protector. Even Trijang Rinpoche had to accept that and confirmed that he is a mundane, vow breaking spirit, and also that he harms sentient beings. It is amazing to see how less the Shugden propagandists know the writings of their own forefathers. However, though Shugden kills and harms sentient beings who dare to practice non Gelug traditions, Trijang Rinpoche claims he would be still an emanation of Manjushri. But this is just a claim how can you prove that? And this claim contradicts the opinion of other masters, including of the 5th and 13th Dalai Lama and it is also not very reasonable that Manjushri is unhappy and kills those who study and practice Dharma from other traditions. According to the Bodhisattva vows and also the tantric vows, a Bodhisattva should seek, study and practice all the Dharmas there are. I never said or supported a view that NKT receives money from China because this cannot be proven and I don’t like to claim things for which there is no evidence. To call Shugden what he is – a vengeful spirit (the former head of the Nyingma tradition called him a “hungry spirit” – is to excercise one’s freedom of speech. Why do you have any problem with this? Being totally deluded the NKT protesters call the Dalai Lama false and dictator, a hypocrite, evil and cruel; so why can you not bear that people express their view on Shugden? Do you have any tolerance for others’ opinions? You are also wrong that the teachers (plural) of HHDL practiced Shugden. Ling Rinpoche was not a supporter of this practice and was happy when the Dalai Lama gave it up because the Dalai Lama had become a target of Shugden’s wrath and punishments because he practices teachings from different Buddhist traditions. Then you also seem not to know what a schism in the Sangha is nor do you seem to know the seven Vinaya procedures to settle conflicts … nor do you know that the majority of the fully ordained monks in the monasteries voted against Shugden practice at their place – which is their very right! You became also pray of the faulty propaganda that Shugden worship would be as important for Gelug school as Virgin Mary for the catholic church. If this were the case it follows that the founder of the Gelug school, Jamgön Je Tsongkhapa, failed because he didn’t teach or mention Shugden. Also Je Tsongkhapa’s two main disciples didn’t mention, write about or practice Shugden. The root of the Gelug school is based on no-Shugden at all. If Shugden were so important then why didn’t they teach it? Until the 5th Dalai Lama there was no need for Shugden either. Did all of those Gelug followers not have some spiritual results because they missed Virgin Mary Dorje Shugden? Shugden is nowadays a hype. The practice of Shugden came up only later and it came up under very controversial circumstances and many high masters see him as dangerous or a mundane spirit. The 5th and 13th DL also spoke against him. Please get the facts and learn the history. So what is really terrible is that you allowed others to utterly misinform you. What is terrible is that you don’t strive to get the facts. What is really terrible is that you don’t have a clue of history and what the masters of the Gelug school – including its very founders – have to say. You practice shadow boxing. I don’t blame the NKT but you and the NKT blame the Dalai Lama, hence all what you say falls back on you. You cannot blame the Dalai Lama for Shugden’s strange background and controversial nature and that he feels urged – based on compassion – to make this known to others. The Dalai Lama has a duty and a right to speak up and to warn and inform about the demerits of Shugden practice. The Dalai Lama sees Shugden worship as harmful. His view – which you can of course object and not accept – is based on a careful investigation and analysis on different levels. Should he be silent and support by his silence that something he and other masters consider to be very harmful spreads and harms sentient beings? Of course, that Shugden harms others is a claim just as that Shugden benefits others is a claim. Your love should go together with wisdom. You could also wish that a drug addict unites again with his dealers. But I fear this won’t be good for the drug addict. If Shugden is really harmful, it is sober advice to stop propitiating him. If you wish peace, as a start, you could contribute to it by putting yourself into the shoes of those who don’t share the view of Kelsang Gyatso or NKT or you.